Hillary Clinton shocked at midterm loss of the Senate to the GOP in 2014 - A sign of impending doom for her 2016 Presidential chances. Hillary Clinton continues her downward spiral of self-denial from her historic defeat in the 2016 Presidential election to Donald Trump, a successful New York businessman and political upstart. From the moment President Trump's victory was assured, Clinton, with the help of her campaign manager, began weaving elaborate stories; stories her team quickly spoon-fed the Democrat-run media. 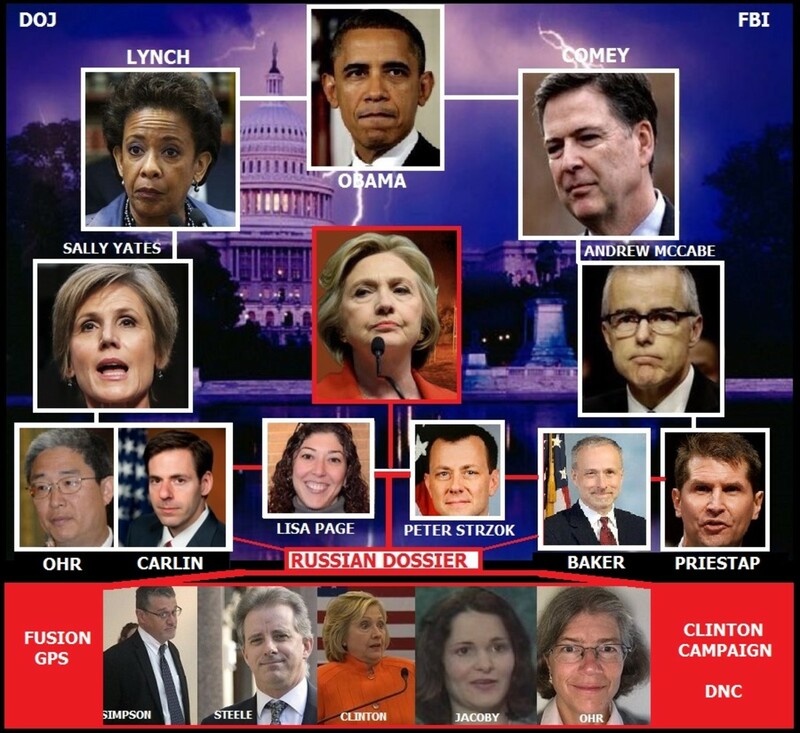 Each one had all the elements of a dime-store novel; sinister bad guys from Russia, potentially career-ending allegations by unnamed or anonymous sources, and most importantly for the Clinton campaign, they provided her with a trove of excuses for her defeat. Since her devastating loss, Mrs. Clinton has gone back to the excuse well time and time again in what many say is a futile and embarrassing attempt to keep throwing things against the wall until something sticks. With the election over for more than six months, the rhetoric has been getting shriller and the accusations wider. Many pundits are surprised that it seems to be increasing rather than dying out. At this point, Hillary Clinton is showing her truest or true colors. She is likely one of the sorest losers in American history. 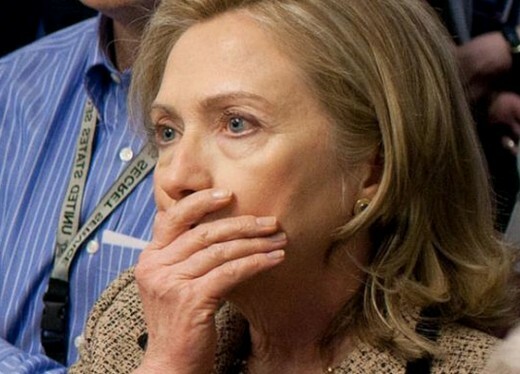 Rumors were circulating around America that Hillary Clinton erupted in a fit of blind rage inside her hotel room after realizing she was about to lose the election to President Trump. Radio Host Todd Kincannon told a tale of her becoming physically violent to both Robby Mook and John Podesta that evening. She failed to emerge from hiding until the next day, and sent a surrogate in her place to talk to dejected supporters after the loss. She had expected a landslide victory in the election, however she wasn't expecting to be underneath the rock pile. But what she has done since that period has been very revealing; she is in a sad state of denial for losing. 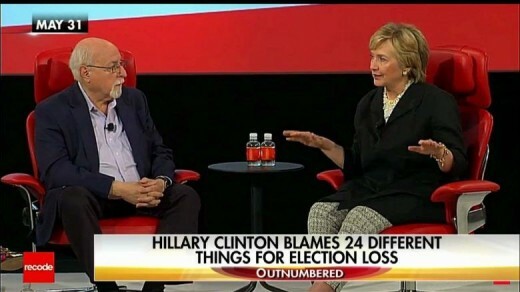 Since then she has come up with more than 20 different excuses as to why she lost, yet not a one of them assumes the loss was her fault. She refuses to accept the fact that her platform and the economy-killing policies of the Democratic Party were rejected by America. She refuses to accept the fact that most Americans don't trust her. She spent much too much time making excuses for her illegal home-brew server and many people still feel she should have been prosecuted for deleting over 30,000 messages. She was the first, and probably the last person to call some American voters "deplorables." She failed to connect with voters. She didn't have an economic message. She was pro-open borders and weak on terrorism in a time when America needed a strong stance. These are just a few of the reasons why she was defeated, yet in spite of the glaring evidence, she claims the Presidency was snatched away from her. If Not Hillary, Then Who is to Blame? So far Mrs. Clinton has placed blame for her defeat on a wide list of sources. 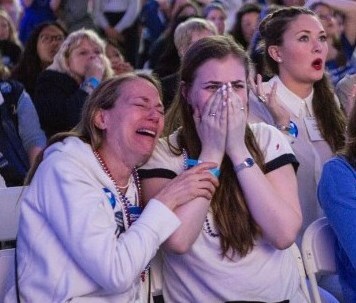 She blamed former FBI Director James Comey, the Russians, and the DNC computer breech as the main causes for the loss. She claimed to be on-track to secure a victory in the election until October 28th, the day when former Director Comey sent a letter to Congress which basically re-opened the e-mail investigation. Her campaign has stated that this fact alone shifted voters from her camp to the Trump camp in three swing states, which tipped the election. She has continued this narrative despite Comey stating two days before the election that newly discovered e-mails hadn't turned up anything new, basically exonerating her. The irony of this has seemingly gone unchecked. She went even further in blaming the media for mishandling the story; the same media that had gone to bat for her time and time again with covering stories or flat our refusals to publish factual negative threads about her past. Additionally she has continued to cite a mysterious clandestine Russian interference operation, Wikileaks (which she thinks is being run by Russian President Vladimir Putin,) and misogyny. She also blamed fake news (which is actually fact-based news, but since facts are toxic to Democrats, they quickly label them as fake, praying that they can convince people to side with them.) Her long-standing opposition to Russian President Putin made him the perfect scapegoat for her to attach her loss to. Yet, to this day, not a single shed of hard evidence has been brought to Congress to demonstrate any state-sponsored Russian interference. Of course Seth Rich leaking insider information from the Democratic National Committee and their being published globally by WikiLeaks had huge implications with Bernie Sanders supporters. Seth Rich was later murdered by an unknown assailant and the mysterious circumstances are still under investigation. The DNC was shown to be a liability instead of an asset for Mrs. Clinton. Other outside sources piled-on by keeping her scandals in the spotlights for as long as possible; yet Hillary feels that was somehow illegal. She went so far as to blame Netflix, Facebook, Twitter, and multiple conservative news outlets for publishing stories that didn't paint her as a saint or sorts. She seemed to want information suppressed if it didn't point to her being the projected winner. In hindsight, there can be multiple reasons attributed to Hillary being defeated. Many I've already mentioned. But in case you aren't fully convinced that it was Hillary and Hillary alone which caused her to lose the election, think about this. Hillary Clinton ran one of the most negative campaigns in the history of this nation. Instead of allowing Trump to "hang" himself with his unchecked Twitter account or unpolished understanding of American politics, Hillary went full-on attack-mode. Trump's negatives didn't need to be reinforced, yet she spent too much time and resources trying to get the "kill shot." She should have been working to improve her image instead. She should have addressed the numerous scandals head-on and somehow tried to demonstrate to the voters that she was going to do something positive for them. After enduring eight years of the dismantling of America under Obama, voters were looking for something positive to cling to. Trump brought that message to the public; he attacked the issues with zeal and spoke to the voters directly. He demonized the press and their attempts to control the news cycle instead of reporting the truth. He pledged to fix the broken immigration system and get America working again. So What's Next for Hillary? Hillary has decided that she's going to stay in politics, but to what degree is anyone's guess. She could possibly be testing the waters for another run in 2020 or is simply trying to stay relevant in the short term while deciding. 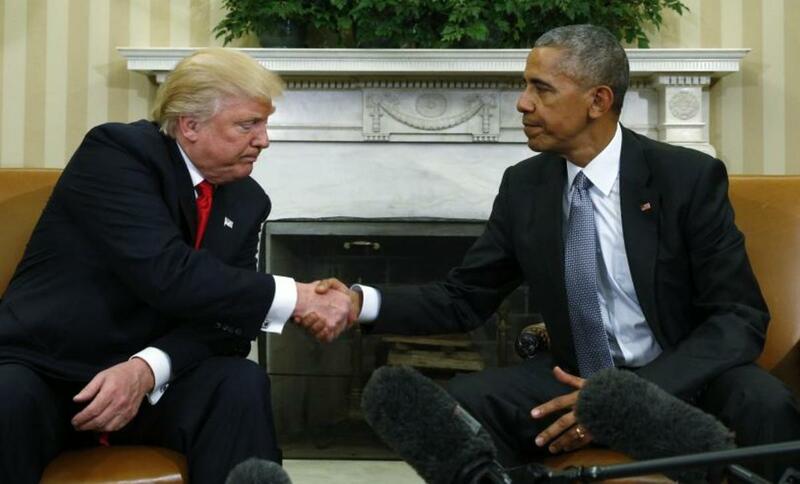 Former President Obama has also indicated by his recent purchase of a home in Washington DC that he also intends to hang around and try to influence the shape of the next few years of political doctrine from the Democratic Party. Even though the two of them seemed at odds on certain issues, their collective efforts might help. After all, there is only 18 months until the next midterm election. No, what is telling is when you are proven totally wrong about everything you say and you have absolutely no rebuttal of the facts, you claim "personal attack!" That is totally telling and an expected response every time a liberal is shown for what what they really are, shallow and intellectually dishonest...not an attack just the plain truth. Maybe this will enlighten you about government run healthcare and why it is not by any stretch of the imagination based on conservatism. Personal attacks are so telling. Well KC then you really had no idea what you were saying when you said the ACA is conservative. What do you do just parrot every article headline you read in the Washington Post without thinking or even reading the article? From other things, almost everything I've seen you say, it appears that is exactly what you do. Why should anyone take anything you say seriously? "Republicans are engaged in a brutal civil war between hard-liners and moderates as they struggle to craft legislation to repeal and replace Obamacare. The episode invites an almost existential question for the GOP: Why, after seven years of nearly endless war against Obamacare, is the party unable to deliver a more conservative policy that provides access to health care to a similar number of Americans?" The obvious answer not given is because the Republicans are not conservative, most are moderates of rinos! "As a life-long Republican who has spent months contemplating this question, I’ve come to an answer that will be hard for many conservatives to swallow: Passing an Obamacare replacement is difficult because the existing system is fundamentally a collection of moderately conservative policies." Hard to swallow is the only truth in that statement and the reason is because the ACA is far from conservative and moderately conservative is not conservative at all. You can't moderate conservatism, it is cut a dry. Hope you've learned something, might help you from saying or repeating stupid things again. Yep, you nailed us. (I was actually quoting from an article in the Washington Post.) I've said stupid things before and I surely will again. It's a free country - for the moment. One thing is for certain. If the Republicans had started working this hard at improving the ACA eight years ago instead of sticking their collective heads in the sand, we would be much further down the road towards better health care in this country. Their problem now is their failure to find a better starting point than the ACA. You know if the ACA was actually conservative as KC says common sense tells you no Democrat would have ever voted for it and conservatives would have, so that is the stupidest statement anyone could possibly make. Democrats dismiss Republicans as ignorant, NASCAR-obsessed, gun-fondling religious fanatics, there is no way they would vote for a bill that was conservative. KC's statement is an example of how out of touch liberals are and how they will say the transparently looniest things as if they are fact! This explains their whole ideology and how they think compared to how a true conservative thinks and actually reasons. Mandating everyone to pay a fine (no a tax?) and turning over 1/6th of the economy to government control is not conservative - if you think so you have a real problem understanding conservatism which is no surprise given your ideology. You probably think healthcare is a right. The only right associated with healthcare is the right to not be forced by the government to pay for other's healthcare or pay a penalty. Healthcare is no different than any other commodity produced by professionals who pay to be educated and trained to administer it, and access to it is no different than access to any service provided by trained professionals - it is wrong to make it free and making it free won't work and if it is a right then how can you make anyone pay for it? Does the government give you or charge you for the right to "Life, Liberty and the pursuit of Happiness?" The large population centers already do drive American policy - and elections. Google The National Popular Vote Movement or read my hub on it. It's the wave of the future. The reason they can't replace the ACA is that it actually is conservative. Kathleen - are you suggesting we get rid of the Electoral College? It's an idea that has been floated around many times, but always seems to "die on the vine." Would it be equitable for all Americans to allow the large population centers to basically drive American policy? I'm not taking a stance either way because its a good topic, but would suggest you give it some further thought. It's easy to say something isn't working (like Obamacare) but not so easy to put something in place that corrects the shortcomings of the prior system. Thanks for commenting! You can thank the founders and God for our "antiquated system" or else people like KC, the "Clintonistas" and the godless would be running the country! In their minds our representative republic is antiquated and they would like nothing more than to do away with it. 3 million votes is not a loss. It's an antiquated system. This has happened twice now within 20 years to the advantage of the Republicans who proceeded to ruin the economy and start needless wars. And the Democrats clean up the mess - again. And what a mess this time. Do I want her to run again - no. I wouldn't put someone I didn't like through what she's been through. Do I think she lost - no one who can count would. It may be a good thing for Hillary to continue to emphasize the tactic of blaming others for her failings, for the simple reason that it allows Americans to appreciate her for what she is. 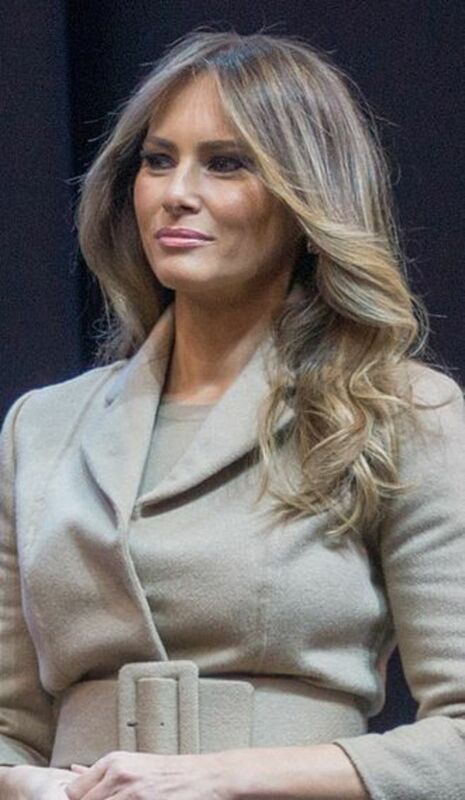 Those who opposed her will continue to view her as an out-of-touch dreamer locked into her own perception of reality, and with no concept of integrity. Those who support her will see an ineffective finger pointer, always seeking someone else to blame. They will fear to aid in her cause, for the simple reason that they will never be sure that her finger will not eventually turn to point at them. Those who were undecided may think they are seeing a constipated comedian who is full of really bad jokes. Poor, poor, corrupt, morally bankrupt, Liar-in-Thief Hillary Rotten-to-the-Clinton-Core. There is much talk (verbal & written comments) being made about the "sickening, nauseating ODOR wafting from her body," by those closest (but now moving further away) to her (her alleged good buddies.) A John Podesta email has been made available in which he describes her as smelling of "urine & farts" (not exactly a fragrance by Yves St, Laurent). I've heard all of these nose reports....Oops! I mean news reports & thought, "Well, DUH...of course the wench stinks!! Everything that comes from her mouth is CRAP, she's done nothing but pi$$ on her devoted lackeys and she's been rotting from the inside out for years." and they're shocked at her stench? Proves how friggan stupid they are. Oh, but never fear The Princess of Perjury has resumed her Public Appallings....sorry, I mean Appearances (Gotta get these keys fixed!) in an effort to promote her new theme song, STOLEN ( of course!) from Allan Thicke....."Blurred Lines.....at the voting Booths" It should soar to the Top Ten....and I don't mean Commandments. It has a wonderful beat to tap dance to!! Hillary Clinton epitomizes what's wrong with the Democratic Party. Out of touch and morally bankrupt. She had no recognizable political platform, she was trying to ride on her husband's coattails, she was involved in pay-to-play with the Clinton Foundation, and to top it off, her illegitimate email in the basement was stupid if not outright illegal. She is her own worst enemy. It's very strange, because I think she is a smart lady. Just blinded by ambition. She needs to get off the stage. A rotten liar is all she is and all she knows about how to behave. She is totally incompetent at anything she has done. You'd think with 40 years of practice at lying she'd be good at it by now but she's even incompetent at that. Hillary is a train wreck. She is incapable of taking responsibility for anything. Thus far she has blamed everyone except for the energizer bunny. I'm sure she will get around to it given her track record.